In recent years, much work has been dedicated by logicians, computer scientists and economists to understanding awareness, as its importance for human behaviour becomes evident. Although several logics of awareness have been proposed, little attention has been explicitly dedicated to change in awareness. However, one of the most crucial aspects of awareness is the changes it undergoes, which have countless important consequences for knowledge and action. The aim of this paper is to propose a formal model of awareness change, and to derive from it logics of awareness change. In the first part of the paper, the model of epistemic states of bounded agents proposed in Hill (Stud Log 89(1):81–109, 2008a) is extended with operations modelling awareness change. 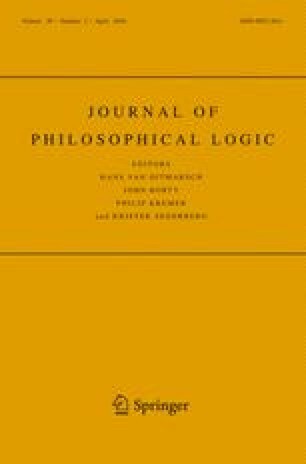 In the second part of the paper, it is shown how this model naturally extends the “standard” logic of awareness to yield a logic of awareness change.